‘Tis the season for a ton of tomatoes!! I love this season, when gardens are producing like crazy. I sadly didn’t get to plant much of a garden this year. BUT next season my husband is going to build some raised garden beds which I am excited for. Anyways, I had a couple neighbors share their garden wealth with me. I had 2 bags full of tomatoes. 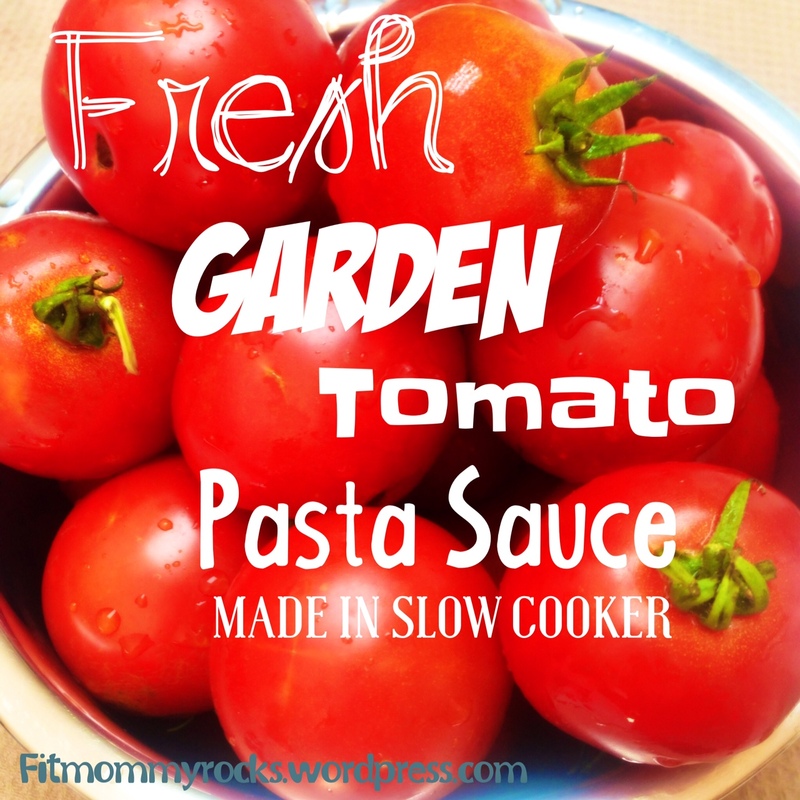 I thought about making some fresh salsa, which is always yummy, but I decided I wanted to make this FRESH Garden Tomato Pasta Sauce that I could let cook all day in the slow cooker. It really didn’t take long to put together for the slow cooker. 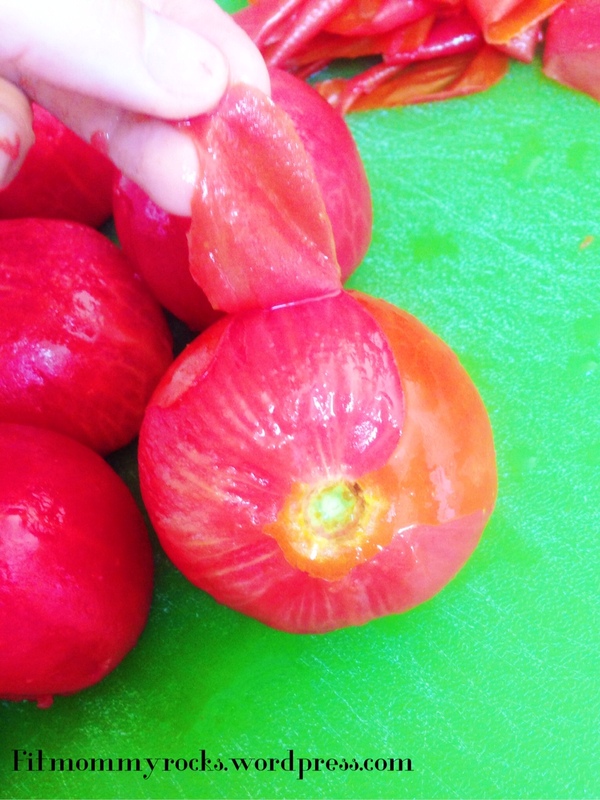 The hardest part is peeling tomatoes. BUT I have an easy method to share.. 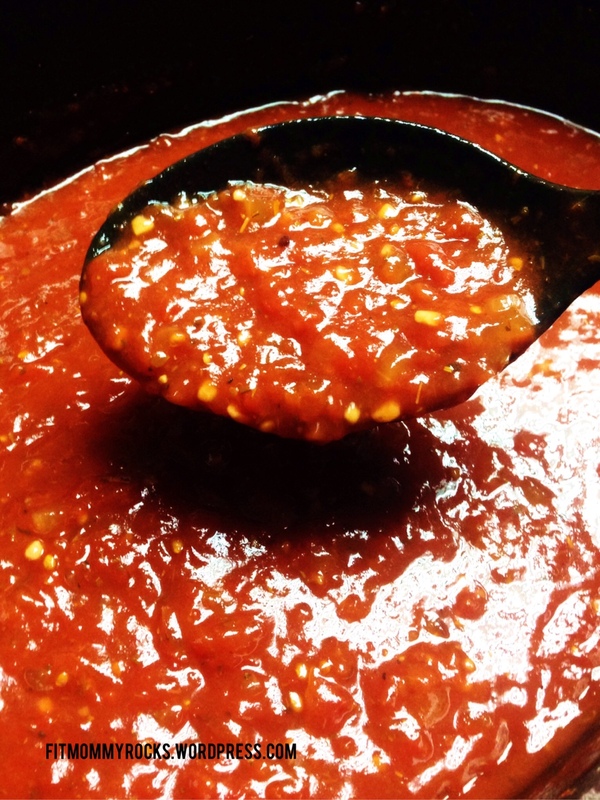 SO if you find yourself with a lot of tomatoes OR want to visit the Farmers Market and grab a bunch– I recommend this sauce! Here is how I make it. 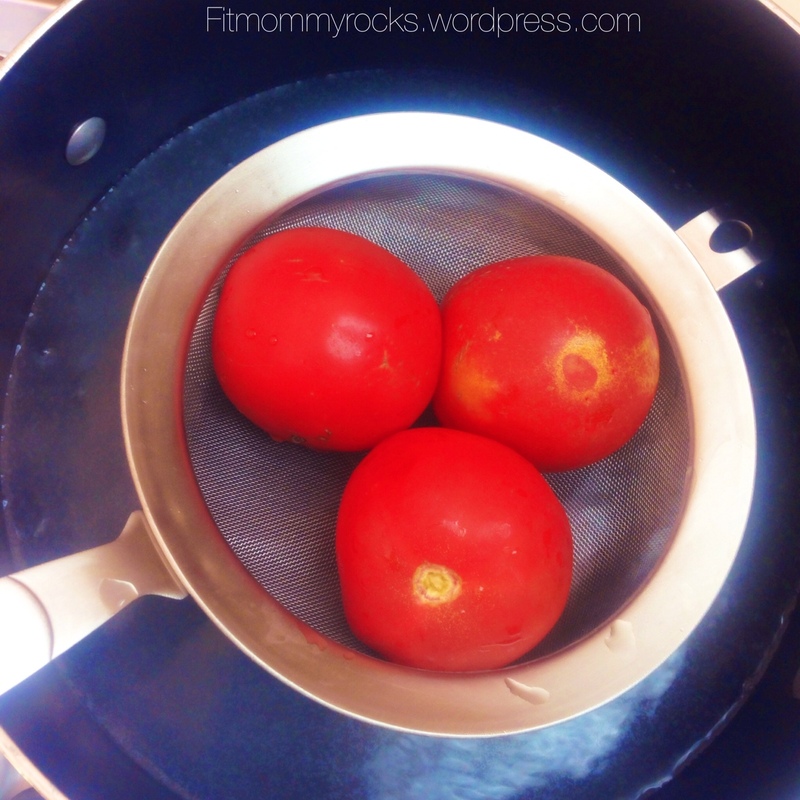 After I wash off my tomatoes, I dip them in boiling water for 30 seconds. I set my timer and when it goes off I used this strainer to pull them out and place them in cold water for another 30 seconds. Then, after I take them out of the cold water i peel the skin off. It comes off so easy this way. That was the most time consuming part (which really isn’t bad). Once you get past this it is super easy to throw together. 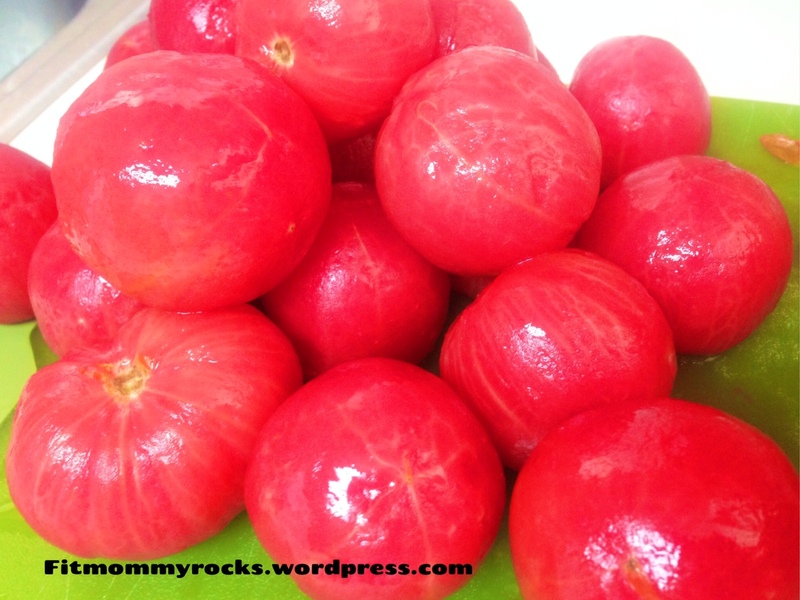 Next, dice up your peeled tomatoes and throw them into the slow cooker. I also used a potato masher and mashed up the tomatoes a little bit more. Then add the rest of the ingredients, except the cornstarch and water, and mix it together. Cover and Cook on Low for 8 to 10 hours. The tomatoes cook down a lot. About half way through I used the masher again. 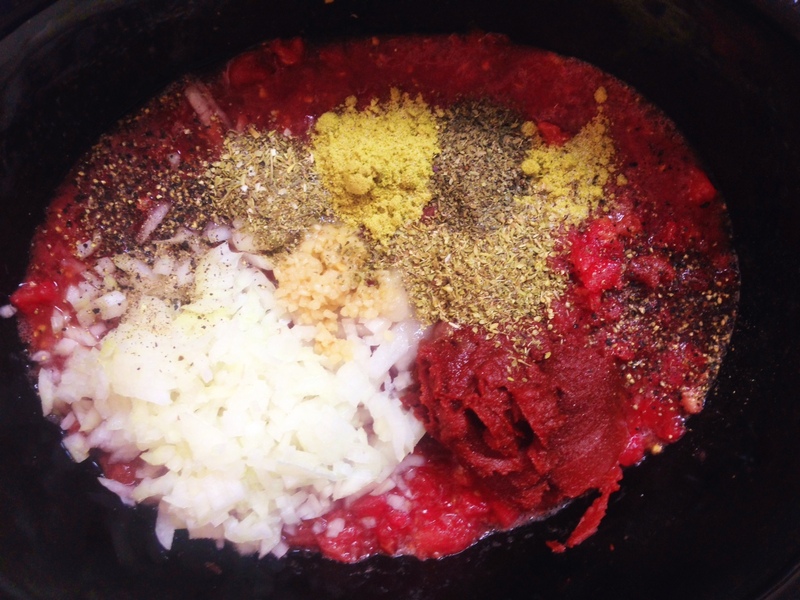 After it has finished cooking, combine the cornstarch and water, then mix into the sauce. Cover and cook on high for 25 minutes or until thickened and bubbly. I doubled the recipe this time. I put some sauce in a big bottle and some in a freezer bag to have another time. I think I will quadruple the recipe next time so I have more to put in my freezer. Peel Tomatoes and dice place in slow cooker. 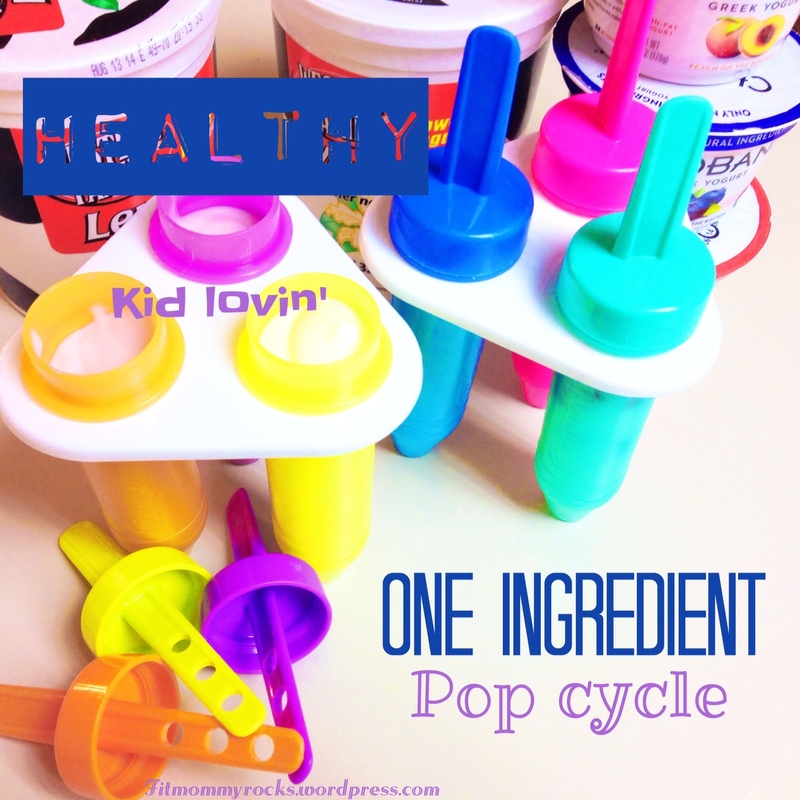 Add all other ingredients except the mushrooms, corn starch and water. Use potato masher to mash if you want smaller chunks. Cook on low for 8- 10 hours. Remove bay leaf and if you are adding mushroom thrown them in and stir together. Combine cornstarch and water, then stir into the sauce. Cover and cook on High for about 25 minutes or until thickened and bubbly. This is a great way to use up your Fresh Garden Tomatoes. 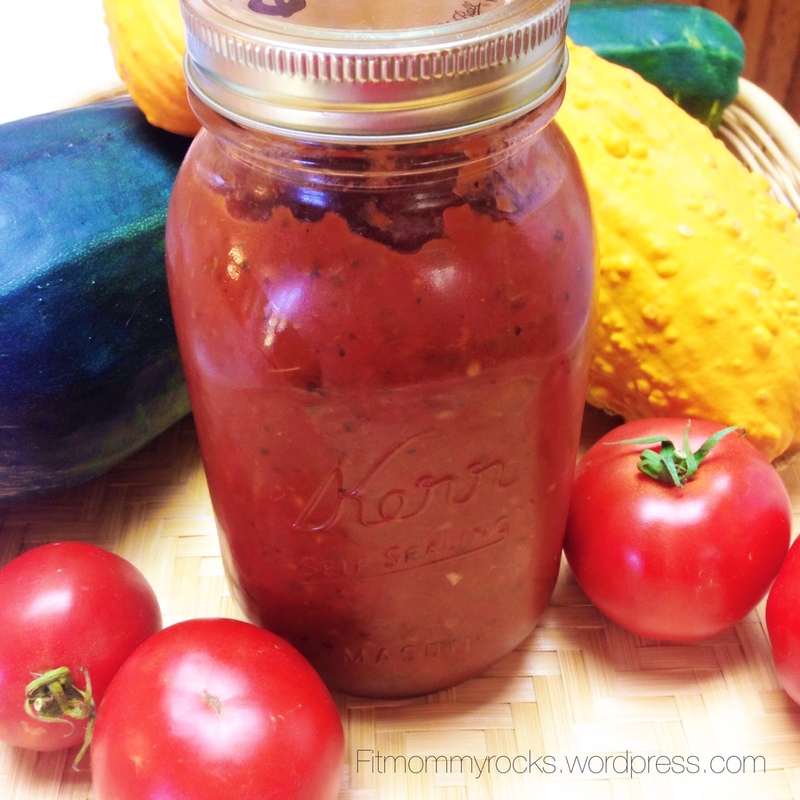 Give this yummy pasta sauce a try and come back and let us know what you think. Previous Post Fat Blaster Full Body HIIT Workout– Check out exciting news inside! !